Do You Know Internet Tricks What is DDoS Attack Full Explaination in Hindi? What is DDoS Attack Full Explaination in Hindi? Hello, Friends! This post is written in English & Hindi. दोस्तों, यह Post हिंदी और अंग्रेजी दोनों भाषाओँ में लिखी गई है.So, friends! we all use the internet but do you know about DDoS Attack? Today we will learn about the same DDoS Attack in this post. We will know what DDoS Attack is, who does it, how does it, and what is the benefit of the doer. Friends, when any website is attacked by DDoS, then the website will be completely freezing, it will stop, we will not be able to use any service of that website at all. And then we will not be able to open that website too. 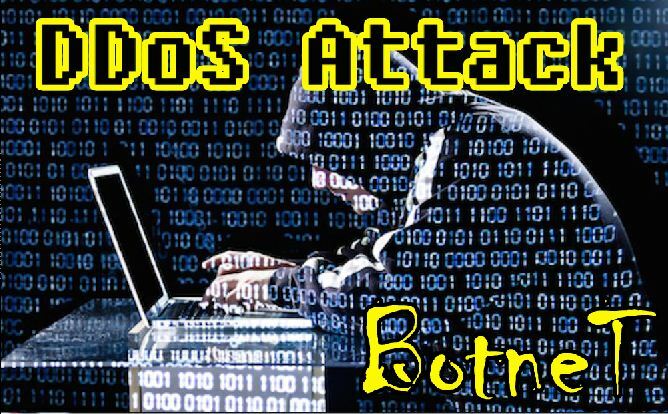 तो दोस्तों, Internet तो हम सभी use करते है लेकिन क्या आप जानते है DDoS Attack के बारे में? आज हम इस Post में इसी DDoS Attack के बारे में जानेंगे. हम लोग जानेंगे कि DDoS Attack होता क्या है, इसे कौन करता है, कैसे करता है और इसे करने वाले का क्या फायदा होता है. दोस्तों, जब किसी भी Website पर DDoS Attack किया जाता है तब वह Website पूरी तरह से जाम हो जाएगी, ठप्प हो जाएगी, उस Website की कोई भी Service को हम इस दौरान बिलकुल भी Use नहीं कर पाएँगे. और तो और हम उस Website को भी Open नहीं कर पाएँगे. Friends, one thing we should know here is that DDoS Attack is always done by a hacker or hacker team. And yes, the Hacker or Hackers team is not alone, they have complete haulers, which we call Botnet. Friends, if we have any such Smart Device like our Computer, Laptop, Webcam, Mobile, Tablet, iPhone or any other device in which we use the Internet, then our device may also be part of Botnet. DDoS Attack कौन करता है? दोस्तों, एक बात हमें यहाँ जान लेना चाहिए कि DDoS Attack हमेशा किसी hacker या hacker की Team के द्वारा किया जाता है. और हाँ वह Hacker या Hackers की Team अकेली नहीं होती है उनके साथ पूरी की पूरी फ़ौज होती है जिसे हम Botnet कहते है. दोस्तों यदि हमारे पास ऐसा कोई भी Smart Device है जैसे- हमारा Computer, Laptop, Webcam, Mobile, Tablet,iPhone या ऐसा कोई भी Device जिसमे हम Internet Use करते है तो हो सकता है कि हमारा वह Device भी Botnet का हिस्सा हो. Third Eye: How to know who touched my Mobile? Now here's the point of thinking how any of us can become a part of Device Botnet. Yes Yes, any of our devices in which we use the Internet can become part of Botnet. What happens to many times is that Hackers send malware to our Computer or any device through Email, through a website, through any Download Link or any other Miscellaneous Software, which contain viruses, and Unknowingly, we only click on them. And after this malware come into our system, that malware gives permission to hackers to control our system automatically. In this way, we become part of those Botnet easily. Now the hacker will use our system with ease and steal our data too. And to make the DDoS attack on any website, it can use our system very easily. अब यहाँ सोचने वाली बात यह होगी कि हमारा कोई भी Device Botnet का हिस्सा कैसे बन सकता है. जी हाँ दोस्तों हमारा कोई भी Device जिसमें हम Internet Use करते है वो Botnet का हिस्सा बन सकता है.कई बार क्या होता है कि Hackers हमारे Computer या फिर कोई भी Device में Email के Through, किसी Website के Through, किसी Download Link के Through या फिर किसी Miscellaneous Software के Through Malwares send करते है, जिनमें Viruses भरे पड़े होते है, और जाने अनजाने में हम उन पर Click कर ही देते है. और ये malwares हमारे System में आने के बाद उन Hackers को हमारे System को Control करने की Permission अपने आप ही दे देते है. ऐसे में हम उन Botnet का हिस्सा बड़ी आसानी से बन जाते है. अब वह Hacker बड़ी आसानी से हमारे System को Use करेगा और हमारा Data भी वह चुरा सकता है.और किसी भी Website पर DDoS Attack करने के लिए वह हमारे System को बड़ी आसानी से Use कर कर सकता है. How is DDoS Attack done? As we have just known now that Hackers send Malware in many ways in our system. So these hackers send malware to thousands of devices. Control of those Devices comes in their hands. After this, these hackers do DDoS Attack on any website with the help of thousands of devices. And they block the website, stop the services of that website so that no user can open the website. DDoS Attack कैसे किया जाता है? जैसा कि अभी हमने अभी जाना कि Hackers हमारे System में कई तरह से Malwares send करते है. तो इस तरह से ये Hackers हज़ारों लाखों Devices में ये Malwares send करते है.और उन सभी Devices का Control उनके हाथ में आ जाता है. इसके बाद ये hackers इन सभी हज़ारों लाखों Devices की Help से किसी भी Website पर DDoS Attack करते है. और उस Website को ठप्प कर देते है, उस Website की Services को बंद कर देते है, जिससे कि उस Website को कोई भी User Open ही न कर पाए. Now you might be wondering how a website can be closed or stumbled. FaceBook also has millions or billions of users. Friends, I would like to tell you one thing that every website has a particular limit of the server, more Requests than that limit can be a Website Crash at the same time. Every website has some limit of server or bandwidth which we can say, load more than that bandwidth, if it comes at the same time on that website, then that website becomes crashed or down. So in the same way, Botnets take these Devices in their control, send the Garbage Requests to the website of the website where DDoS Attack is intended, and down the websites. Although DDoS Attacks are of many types, the purpose of all of these is that it is intended to downgrade the website. अब आप सोच रहे होंगे कि कोई Website कैसे बंद या ठप्प हो सकती है FaceBook को भी तो करोड़ो-अरबों लोग Use करते है. दोस्तों यहाँ पर मैं आपको एक बात बताना चाहूँगा कि किसी भी Website के Server की कोई Perticular Limit होती है, उस Limit से ज्यादा Requests एक ही समय में आती है तो वह Website Crash हो सकती है. हर Website के Server की कोई न कोई Limit होती है या Bandwidth जिसे हम कह सकते है, उस Bandwidth से ज्यादा Load यदि उस Website पर एक ही समय पर आता है तो वह Website Crash या Down हो जाती है. तो इसी तरह से Botnets इन Devices को अपने Control में लेकर, जिस Website पर DDoS Attack करना चाहते है उस Website के Server पर Garbage Requests send करते है और उस Websites को Down कर देते है. वैसे तो DDoS Attacks कई तरह के होते है लेकिन इन सभी का जो मैं मकसद है वो मकसद होता है उस Website को Down करना. Why DDoS Attack? Is there any benefit in this? Friends, there is no use for anyone in DDoS Attack. This is done so that someone can blackmail money to anyone or someone can be disturbed or if someone has to dispute anybody over anyone, then he can get a DDoS attack on any website through any hackers. Or if a competitor from any website can also do so. So that it goes down to Website and all the customers of that website are diverted to another website. 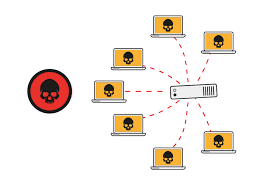 Friends, do not just deploy Botnets to hackers, but there are many websites on the internet that can take DDoS Attack on any website by taking a little bit of money. By paying a bit, we can make a DDoS attack on any website. DDoS Attack क्यों किया जाता है इसमें किसी का क्या फायदा है ? दोस्तों, DDoS Attack में किसी का कोई फायदा नहीं है. यह इसलिए किया जाता है ताकि कोई किसी को पैसों के लिए Black Mail कर सके या फिर किसी को किसी के ऊपर कोई दुश्मनी निकालनी हो तो वह किसी Hackers के Through किसी भी Website पर DDoS Attack करवा सकता है. या फिर यदि किसी वेबसाइट का कोई Competitor भी ऐसा करवा सकता है. Whats App पर Delete किया हुआ Message कैसे पढ़ें? ताकि वह Website Down हो जाए और उस Website के सारे User दूसरी Website पर Divert हो जाए. दोस्तों ऐसा नहीं है कि Botnets को सिर्फ Hackers ही Develep करते है, बल्कि Internet पर ऐसी कई साड़ी Websites है जो कि थोड़े बहुत पैसे लेकर किसी भी Website पर DDoS Attack कर सकती है. थोड़े बहुत पैसे देकर हम किसी भी Website पर DDoS Attack करवा सकते है. How to avoid DDoS Attack? Friends, to avoid DDoS Attack, all the major companies in the world who spend millions of rupees to avoid DDoS Attack on their own. These companies spend millions of rupees every year for their security. If you have any such website that you think was running very fast before but it has been very slow afterward, then you can check by hiring a White Hate Hacker that is there any DDoS Attack on your website has happened. Word File ko PDF me Kaise Save/Convert Kare? DDoS Attack से कैसे बचा जा सकता है. दोस्तों, DDoS Attack से बचने के लिए दुनिया की सारी बड़ी Companies जो है वो लाखों रूपये खर्च करती है अपने ऊपर होने वाले DDoS Attack से बचने के लिए. अपनी Security के लिए ये Companies लाखों रूपये जो है हर साल खर्च करती है. यदि आपकी भी कोई ऐसी Website है जो आपको लगता है कि पहले बहुत Fast चलती थी लेकिन बाद में बहुत ही Slow हो चुकी है, तो आप किसी White Hate Hacker को Hire करके चेक करवा सकते हो कि कही आपकी Website पर भी तो DDoS Attack नहीं हुआ है. So friends, this post in today's post, if you liked Post, Comment and Share will definitely. Meet Our Next Post Will take care of yourself. तो दोस्तों,आज की इस Post में बस इतना ही, Post पसंद आए तो Comment और Share जरुर कीजियेगा. मिलते है हमारी Next Post मे. अपना ख़याल रखियेगा.